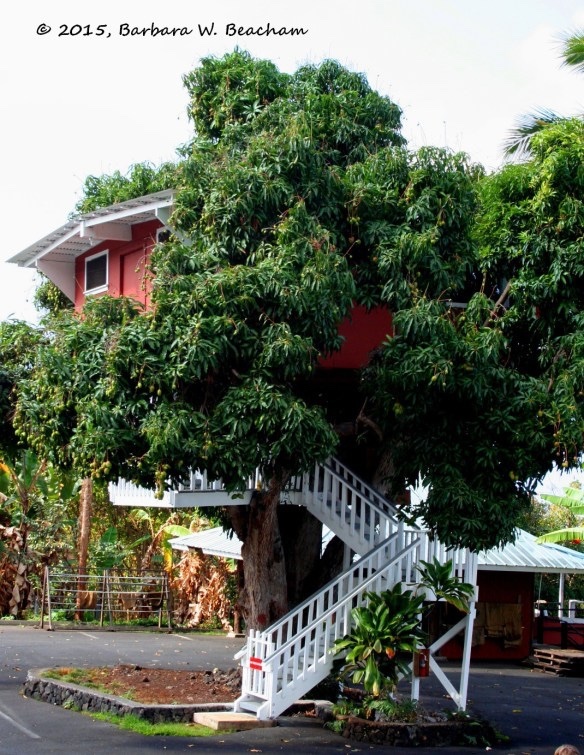 She lived in a mango tree for almost her entire adult life. Shasta dreamed of living in a tree house. Her husband built her their dream house on the 7th year of their marriage and they lived in it for the next 51 years, until Maximus, the love of her life, passed away. Shortly after that, Shasta wasn't able to climb the stairs anymore and had to move in with her daughter. Shasta missed her small home. She missed being in the mango tree and being one with the birds that perched in its branches. She missed everything about her life before old age set in. But, she missed Maximus most of all. Shasta passed away eight short months after Maximus. Her daughter said she died of a broken heart; that she never got over the death of her beloved husband. The tree house and the mango tree still stands. 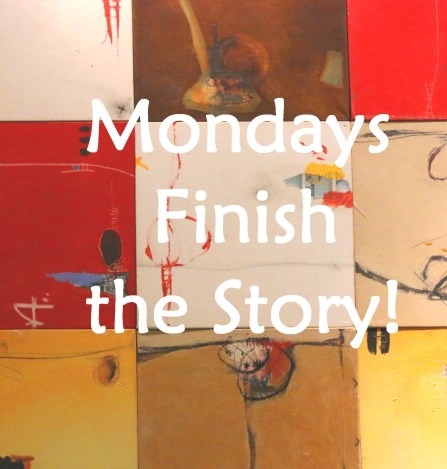 Thank you to Barbara Beacham for hosting Monday Finish the Story Challenge. She provides us with a photo prompt, the first sentence to our stories, and approximately 150 words with which we build our stories. It is a fun and addicting challenge that is open to all who would like to participate. If you would like more information, click here. To read all the wonderful stories that are submitted by talented writers for this challenge, click here. Very lovely and sweet story! I loved it so sweeet and sentimental! Thank you so much Jodi! Yes, it isn’t uncommon for a spouse to pass away from a broken heart after their spouse passes away. Across the street from me, the mother passed away and a month later, her husband passed away from a broken heart – literally. The loss of her beloved Maximus would have been hard enough but she also had to cope with the loss of her beloved home. Poor Shasta. Yes, very true. A double whammy for her. Brilliant picture and a lovely story to go with it too. I have too Donna. My neighbors. The mother died and the father died a month later of a broken heart. a lovely story, PJ 🙂 wish I could live in a tree house, too! That would be a fun place to live wouldn’t it? Be up there with the birds. LOL! Yes, a lift would be nice. What a sad story about all the losses a person faces with age. Thank you. Yes, it is sad to get old. I appreciate you reading and commenting. Oh I love this photo!!! I discovered these tree houses recently when looking for places to stay when travelling at AirBnB…your story is so beautiful yet sad. When I worked in homecare, we would often see the spouse give up soon after to join the love of their life. Yes, I had that happen to my neighbors. The mom passed away and almost exactly a month later, the dad passed away. I hear it’s not that uncommon. Thank you for the nice comment! You’re welcome. I have to let my muse think about this one. Lovely sentimental story! Love Treehouses! Sweet story, it sounds like they had a wonderful life together. Very sweet, you often hear of people not wanting to go on and fading away after the passing of a loved one, especially after so many years. Thank you Sally. Several years ago the woman (older woman) passed away and a month later her husband passed away. He grieved himself to death. She wanted to go home. Where Maximus is. I’d like to think they are living in the most beautiful of tree houses now….. Yes, they are! One that they will never grow too old to live in. It’s funny, well not really ha-ha funny, that the wife died less than a year after her husband. My grandparents were devoted to each other. They would often hold hands in public well into their fiftieth year of marriage. When she was diagnosed with Alzheimer’s, he took care of her at home by himself until it became too much for him. When she died in 2001 we were all sure he would follow in less than a year. He died just this year. Go figure! He lived 14 years after her death and I think that is wonderful! Some people, I think, are stronger emotionally than others. My neighbor died and a month later her husband died of a broken heart. I think he did not know how to emotionally deal with life without her. OMG I am so happy to hear from you. I have been so worried about that fire in California in the Sierra Nevadas. I’m glad to hear that you have started on your road to recovery!! Yipppee!! Thank you Jessie! Yes, it is sad that when couples are together for so many years that they don’t have the desire to live without them. It happens more than we know. Thank you for you lovely comment! Your story is sad but true of many older couples. You conveyed a lot into such few words! I am also intrigued by that photo! Thank you Terri! It is true that many couples pass away around the same time because of heartbreak. My neighbor passed away several years ago and her husband was so distraught that he passed away almost exactly one month later. Shock and intense stress can have that effect on the chemical balances within the body and mind. It is interesting indeed. A very bittersweet story, and Maximus is a brilliant name. Thank you Francesca! I kind of like that name. LOL! That certainly would be true! Thank you for reading and commenting! Oh that was so sad. But also so sweet. Thank you so much Lyn! I appreciate you reading and commenting. Touching… well done. Too bad there was not a mango tree elevator? Yes, maybe she could have stayed there longer. Thank you for reading and for the comment.